We dare defend good design. Called “a kind of designer’s atlas,” the project is the brainchild of Dan Cassaro, a design and typography go-getter best known for his Springsteenian map of New Jersey. 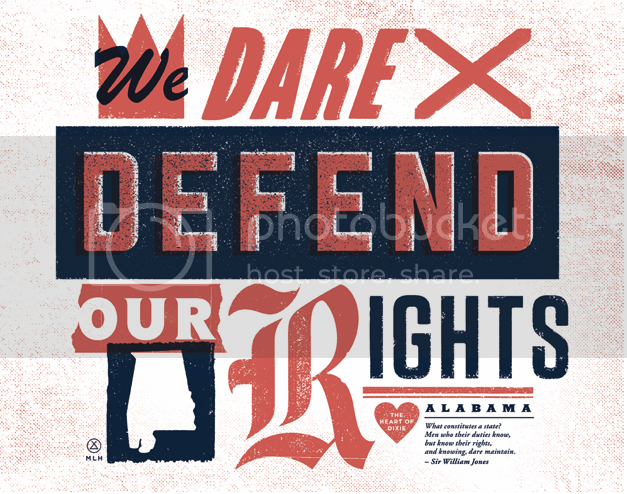 Auburn man, former Black Lodge Band frontman, Standard Deluxe alum, and all-around bad boy Matt Lane Harris was the designer chosen to represent the noble state of Alabama. We think he did the Heart of Dixie proud.